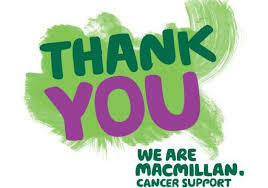 On Friday 29th September we held a Coffee Afternoon to support MacMillan, and raised over £350 which is fantastic! It was so lovely to see so many cakes and buns donated, and to see the amount of parents that we had enjoying them, all for a good cause. Thank you so much to everyone involved!